Q4 2018 Verisign Earnings Conference Call -- Webcast (LIVE & replay) and presentation (pdf). UPDATE: VeriSign CEO Jim Bidzos, Q4 2018 Earnings Call Transcript | SeekingAlpha.com. • Verisign ended 2018 with cash, cash equivalents, and marketable securities of $1.27 billion, a decrease of $1.15 billion from year-end 2017. • Cash flow from operations was $219 million for the fourth quarter of 2018 and $698 million for the full year 2018 compared with $199 million for the same quarter in 2017 and $703 million for the full year 2017. • Deferred revenues on Dec. 31, 2018, totaled $1.02 billion, an increase of $19 million from year-end 2017. • During the fourth quarter, Verisign repurchased 1.2 million shares of its common stock for $175 million. During the full year 2018, Verisign repurchased 4.4 million shares of its common stock for $600 million. • Effective Feb. 7, 2019 the Board of Directors approved an additional authorization for share repurchases of approximately $603 million of common stock, which brings the total amount to $1.0 billion authorized and available under Verisign’s share repurchase program, which has no expiration. • On Oct. 26, 2018, Verisign and the U.S. Department of Commerce (“DOC”) entered into Amendment 35 to the Cooperative Agreement, which, among other items, permits Verisign, without further approval of the DOC, to agree with the Internet Corporation for Assigned Names and Numbers (“ICANN”) to change the .com Registry Agreement to increase wholesale prices for .com domain names up to 7 percent in each of the last four years of each six-year period of the .com Registry Agreement. • Verisign ended the fourth quarter with 153.0 million .com and .net domain name registrations in the domain name base, a 4.5 percent increase from the end of the fourth quarter of 2017, and a net increase of 1.29 million registrations during the fourth quarter of 2018. • In the fourth quarter, Verisign processed 9.5 million new domain name registrations for .com and .net, as compared to 9.0 million for the same quarter in 2017. • The final .com and .net renewal rate for the third quarter of 2018 was 74.8 percent compared with 74.4 percent for the same quarter in 2017. Renewal rates are not fully measurable until 45 days after the end of the quarter. The live teleconference call on Feb. 7, 2019, at 4:30 p.m. (EST), will also be accessible by direct dial at (888) 676-VRSN (U.S.) or (786) 789-4776 (international), conference ID: Verisign. A listen-only live webcast of the earnings conference call will also be available at https://investor.verisign.com. An audio archive of the call will be available at https://investor.verisign.com/events.cfm. More about Verisign in the press release. VeriSign: Massive Moat, Ugly Valuation--SeekingAlpha.com: "VeriSign (VRSN) is the perfect business I look for in the public markets. The company has no competition and generates gobs of cash." The Continuing Decline of gTLD .NET: Verisign's second-largest top-level domain .NET has been declining in total registrations for 3 years now (2016-2018), from a total of 15,805,487 (Jan 2016) to beginning 2019 with only 13,956,864 .NET domain name registrations, a decline of 12% or almost 2 million .NET domain name registrations. Editor's note: Cause? 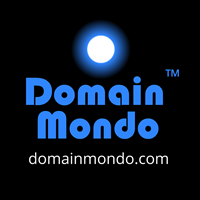 Price-gouging by both ICANN and Verisign, plus a diminution of need (rationale) for any defensive registrations in the face of a glut of hundreds of new gTLDs, i.e., "if you have the .COM, that's all you really need." --News Review 6 Jan 2019.